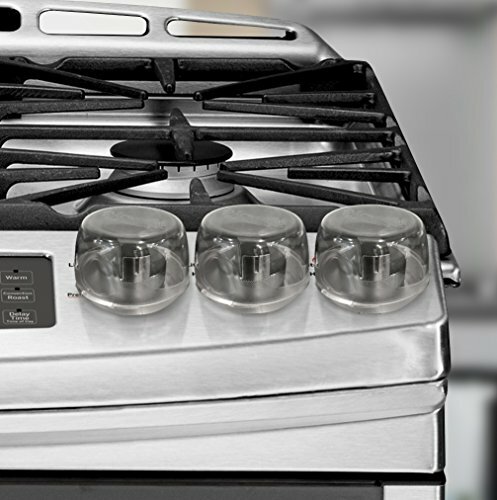 Large universal design fits more stove knobs than our competition. Our child safety stove knob covers features a clear design that blends into any style décor. Strong, hinged lid for easy adult access, while remaining baby proof. Durable and heat resistant. Easy to install and remove from your oven. EXCLUSIVE LIFETIME MONEY BACK-GUARANTEE: If at any given point you're not 100% satisfied, we'll offer you a prompt and full refund of our babyproof Stove Knob Covers! If you have any questions about this product by Jool Baby Products, contact us by completing and submitting the form below. If you are looking for a specif part number, please include it with your message.